This is still a work in progress, but I completed the inking stage of my latest work. 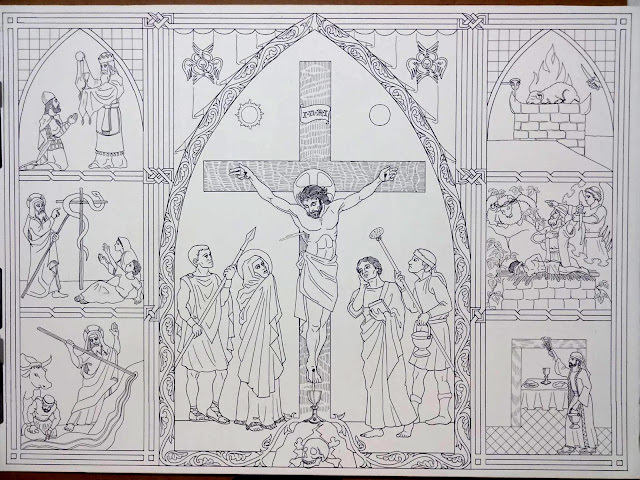 it's a crucifixion scene which incorporates symbolic Medieval conventions, flanked by 6 scenes from the Old Testament that the Early Church Fathers and Medieval theologians viewed as "types" of Christ or of His sacrifice. 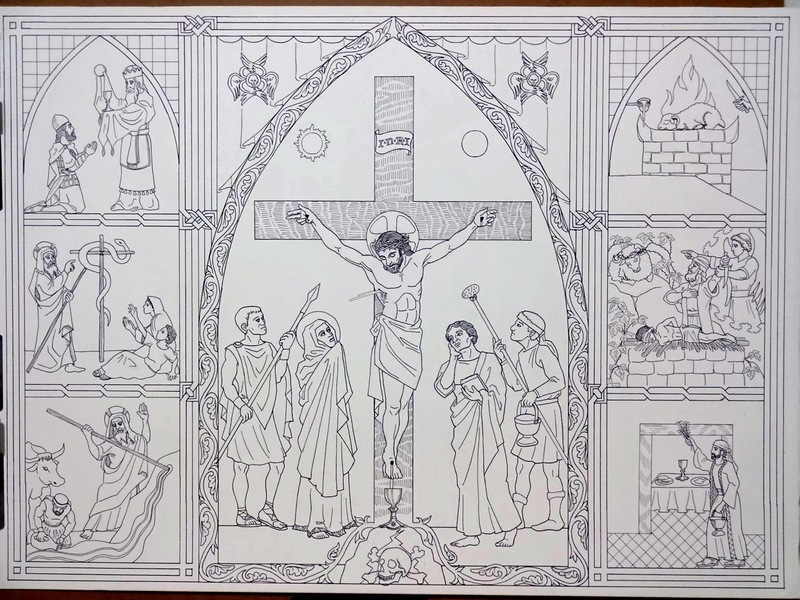 I worked on this all during Lent and took a short break to work on the "Man of Sorrows" drawing from my last post to test out my new Pigma Micron pens. I was sad to say goodbye to my faithful Rapidograph drafting pens but they were getting too old and clogged. Now I'm taking another detour and working on a small watercolor piece to prepare to paint this! When it's finally finished, I'll create a small guide with references to all of the passages of Scripture contained in this image.